Every so often, I drift away from blogging -- sometimes it just ends up feeling like homework. 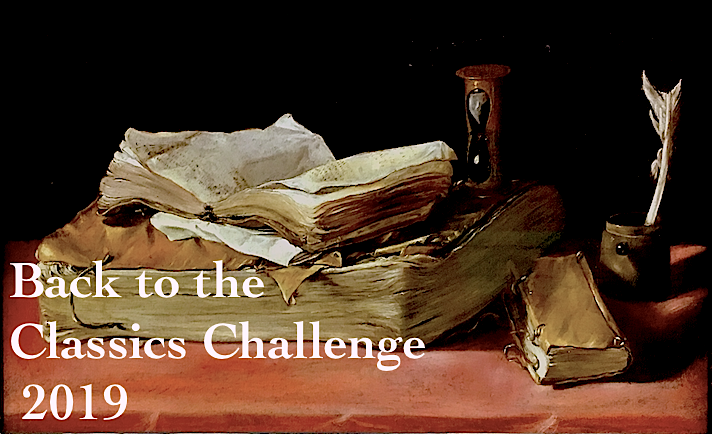 And yet inevitably, something is so irresistible I'm drawn back in -- sometimes it's a book I'm just dying to share, or a challenge that sounds like too much fun to miss -- like Adam's TBR Pile Challenge, which has been on hiatus for two years. How can I possibly resist? It's nearly impossible -- especially since my owned-and-unread shelves are pretty much filled to bursting. I moved overseas a year and a half ago and nearly all the books I brought I hadn't read, so in theory, the owned-and-unred list should be shrinking, right? Sadly, it is not. Curse the wonderfully efficient military library system and all the digital downloads! I'm getting close to my goal of 100 books completed for 2017, and yet less than ONE THIRD are from my own shelves! So, I hope that this list of twelve books from my own TBR shelves (plus two alternates) will be completed during the 2018 calendar year. This time I want to read all women authors. Most of these books are from my Persephone and Virago shelves. Photo courtesy of my daughter, who has a fancy camera and knows how to use it. 1. Christopher and Columbus by Elizabeth von Arnim. Bought last year when I was on an EVA binge. Completed 1/10/18. 2. Testament of Youth by Vera Brittain. I've been meaning to read it since 2014, when it began showing up on WWI reading lists. Completed 7/6/18. 3. Lucy Gayheart by Willa Cather. I only have two unread works by Cather on the shelves. I chose this one over Alexander's Bridge, and I hope I made the right choice. Completed 3/24/18. 4. Lady Rose and Mrs. Memmary by Ruby Ferguson. Probably the Persephone I've had unread the longest. Completed 2/6/18. 5. The Willow Cabin by Pamela Frankau. A discovery at Half-Price books in Austin, TX, which had quite a few green Viragos. Completed 4/15/18. 6. The Long View by Elizabeth Jane Howard. Bought on a trip to London last year. I loved her Cazalet Chronicles and I've heard this one isn't quite as good, but I'm optimistic. Completed 8/15/18. 7. Heat Lightning by Helen Hull. A Persephone book by an American author. I don't know much about it other than it's set in Michigan which is my home state. Completed 6/3/18. 8. The Lacquer Lady by F. Tennyson Jesse. Another Virago find from Half-Price Books. I think I bought it the same time as The Willow Cabin. Completed 5/21/18. 9. London War Notes, 1939-1945 by Mollie Panter-Downes. Another Persephone, I was excited to buy this since I loved her short stories. Simon from Stuck in a Book raved about this and it was out of print for years (and very expensive) before Persephone reprinted it a couple of years ago. It's a collection of essays written for the New Yorker during the war. Completed 7/28/18. 10. The Collected Stories by Katherine Anne Porter. I'm a little intimidated by this one because it's very long -- also, I tried to read Porter's Ship of Fools last year and really disliked the characters. I think I paid $1 for it at the library sale so hopefully it won't end up on the to-be-donated pile. 11. Madame de Treymes and Three Novellas by Edith Wharton. 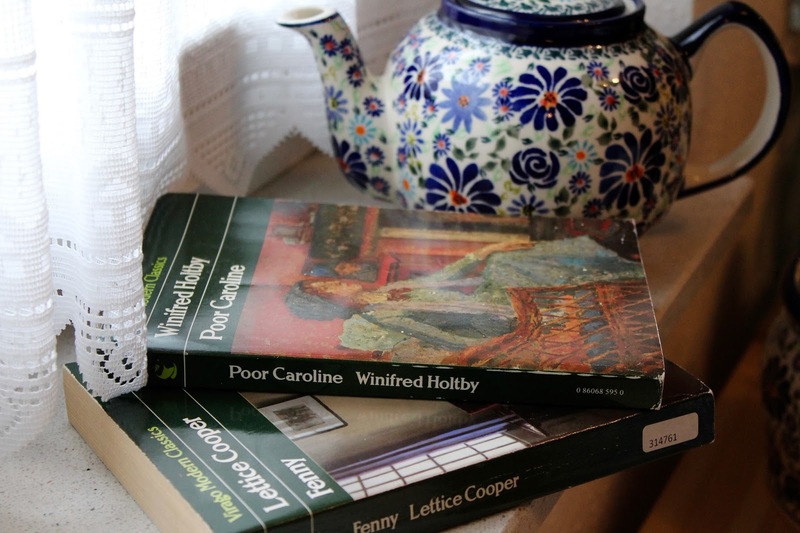 I love Wharton and always keep an eye out for her books in the secondhand shops. I've owned this one for years and never gotten around to it. This one includes Bunner Sisters which I've heard is excellent. Completed 3/3/18. 12. Miss Mole by E. H. Young. One of the very first books published by the Virago imprint. I know many people love it and I've had a copy for years and I just keep putting it off. Completed 2/11/18. Fenny by Lettice Cooper. Bought last year after reading and loving National Provincial for the 1938 Club. Poor Caroline by Winifred Holtby. I bought nearly all her novels after reading South Riding. I think this is the last one I haven't read yet. Completed 9/21/18. So -- some great women authors that I love, and some that I haven't read yet. Some novellas, short stories, and two non-fiction books. After looking at the pile, I realize that many of these books are near (or surpassing) the 500 page mark. I measured and it's thirteen inches high. Well, I don't mind lengthy books, as long as I'm enjoying it. 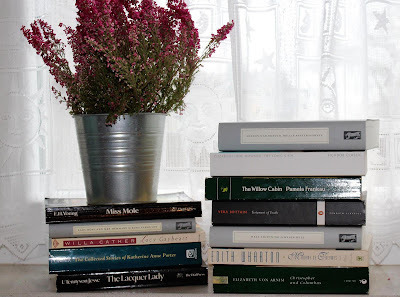 Bloggers, have you read read anything on my list? Good choices or bad? 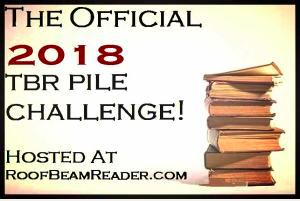 And are you participating in the TBR Pile Challenge? 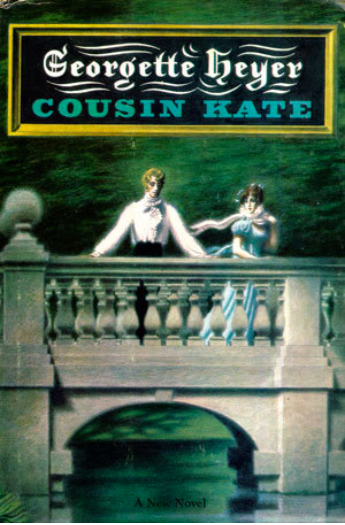 Since The House on the Strand just missed the cutoff for the 1968 Club, I dug around and realized there was a Georgette Heyer novel published that year that I'd never read! 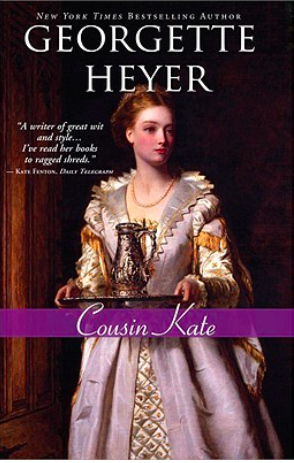 It had been awhile since I read any Heyer, and this one turned out to have Gothic overtones as well, so it was seasonally appropriate. Cover of the first edition, it is so wonderfully Gothic. The story: our heroine Kate Malvern is 24, orphaned and impoverished, and can't seem to hold down a job as a governess, but is still spunky and doesn't seem concerned that she's never been presented and is probably considered off the shelf by Regency-era standards. Kate has been sacked after receiving an unwanted proposal from the brother of her employer, and turns to her old nanny Sarah, who is now married and running an Inn. Kate spent her childhood following her father through his military postings in Spain and Portugal, and has few qualifications or prospects, though she thinks she might find employment as a upscale lady's maid. Sarah is scandalized by the thought of her former charge stooping so low, and contacts Kate's long-estranged aunt, Lady Minerva Broome. Auntie had been estranged from her older half-brother, Kate's father, years ago after became the second wife of the wealthy (and much older) Lord Timothy. So. Lady Minerva sweeps up out of nowhere and whisks Kate back to her estate, Staplewood, which she has spent years transforming into a showplace. It is also the home of her young son Torquil, who is sickly and spoiled though beautifully handsome -- and a little strange. Kate wins over everyone, including the charming and rather detached Lord Timothy, and his nephew Philip, who dislikes Lady Minerva. Kate can't understand the old estrangement between her late father and his half-sister until she realizes that maybe Auntie has ulterior motives of bringing Kate to Staplewood. Torquil is alternately charming and paranoid and Kate finds herself attracted to Philip. This is definitely less of a light-hearted Regency romp I was expecting. Aunt Minerva is a little sinister and I found Torquil downright creepy. There were definitely elements in this book I was not expecting, and I enjoyed it although I did think the characters didn't have nearly as much development as in some of her other book -- it was almost as if Heyer was concentrating so much on the Gothic side that she didn't have time to work on the charming characters that I've grown to expect. It was close to the end of her writing career (#54 out of 58 novels, by my count) so it's possible that the quality of her work was declining. I've only read ten of her novels and I mostly chose them at random, so I don't know if I can judge accurately. But, overall, a fun and diverting read set in the Regency period, which is the whole point of reading Georgette Heyer. 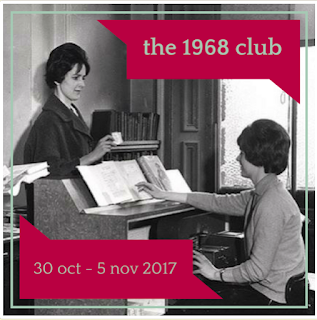 Thanks again to Kaggsy and Simon for organizing the 1968 Club! Is anyone else signed up? What did you read? And which other Georgette Heyer books do you recommend?